Peter is a ‘mamas boy’, a little slow in the head, wants to please his mother, and fulfill her wishes. He steals her body from the funeral chapel and with his red wagon tows her to the ocean for burial. Uncle Frank is trying to get the boy committed to a mental institution so he can take over the estate that he thinks is rightly his. On the boy's journey, he encounters hookers, the homeless, a cook and a robber, while being chased by the police. 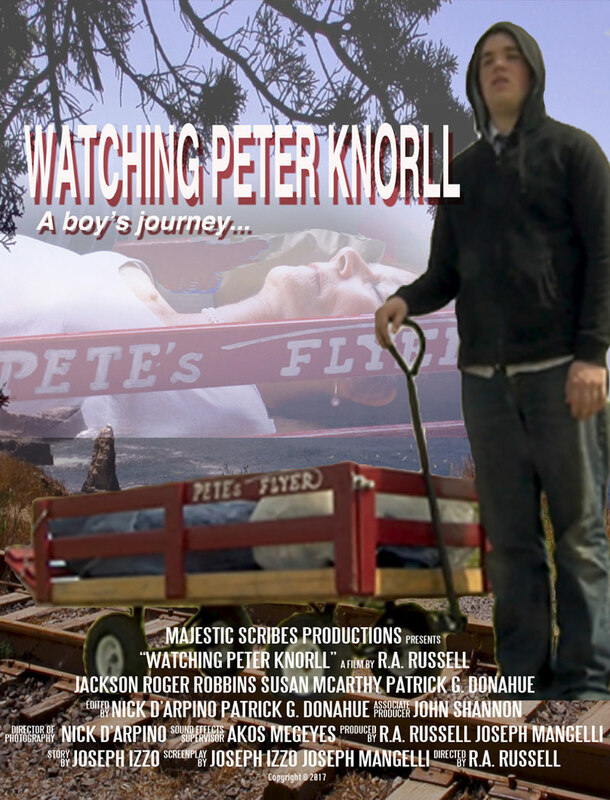 Thanks for reaching out about WATCHING PETER KNORLL. We will get back to you shortly! © Copyright NewGold Studios. All rights reserved.